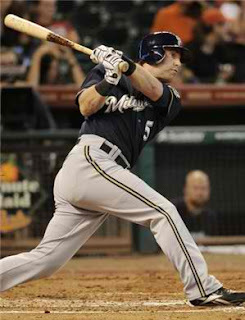 The Milwaukee Brewers play tonight at 8:35 PM central standard time against the San Francisco Giants on MLB network. Tuesday you can catch the Brewers at 9 PM central standard time on FSN playing the Oakland Athletics. 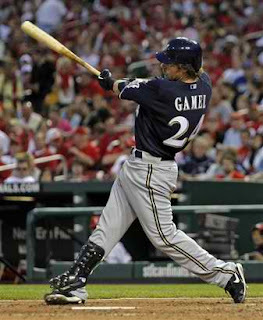 what has changed for Gamel and the Brewers is the knee injury to Corey Hart. A surgery is scheduled for Tuesday; Hart is expected to be out 3 to 4 weeks and hopes to be back for the start of the regular season, and likely will see limited playing time for a few weeks after his return. The unfortunate injury to Hart, makes it less likely that Gamel will have to platoon, and the Brewers can get a better look at what he can do facing left-handed pitching. Another option for the Brewers at first base is Taylor Green, who also bats left, and had some success at the major league level Last year with the Brewers. Green could fill in at first base when needed, and can play second and third base, possibly filling the void of the retired Craig Counsell, a valuable utility player. I am Predicting Mat Gamel will prove himself with consistent playing time, and I have high expectations for him, and a big year for the Crew. Till next time. Go Brew Crew!